Rising prices, a brisk pace of sales, and declining inventory characterize the U.S. housing market as fall begins, with three Bay Area cities again ranking as the nation’s most sought-after places to call home. Realtor.com’s latest monthly list of the nation’s 20 hottest housing market, as measured by the quickest pace of sales and most listing views on its website, says that U.S. homes sold in an average of 69 days in September, eight days faster than one year earlier. The supply of homes for sale dipped by 9 percent year over year, while the median price rose to $274,000, up 10 percent on an annual basis. The San Jose metro area ranked as the country’s hottest housing market in September, ending Vallejo’s seven-month run in the No. 1 spot. 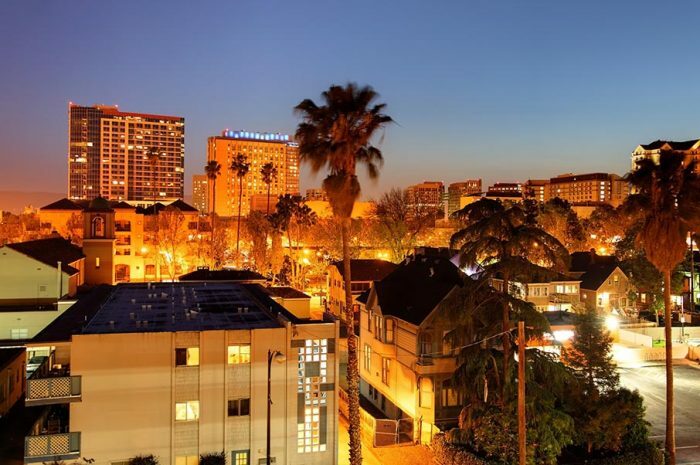 The San Francisco-Oakland-Hayward area, which also topped realtor.com’s hot list for consecutive months last year, took the No. 2 position, while Vallejo fell to No. 3. In general, California real estate remains a hot commodity this fall, with Golden State cities dominating the rankings — as usual. San Diego came in at No. 5, followed by Stockton (No. 6), Santa Rosa (No. 7), Sacramento (No. 8), Modesto (No. 9), Oxnard (No. 14), Fresno (No. 15), and Los Angeles (No. 20). Saving for a down payment is one of the biggest challenges facing first-time homebuyers, particularly in expensive places like the Bay Area, but taking on a housemate can help renters sock away a significant amount of money each month. A recent analysis by SmartAsset puts the average rent for a one-bedroom apartment in San Francisco at a whopping $3,420 per month. But with two-bedroom units running $4,597, renters in San Francisco can save $1,122 each month by living with someone else, the largest such savings in the U.S.
California accounts for half of the top 10 cities where co-habitating translates to the biggest savings. Renters in San Jose can save $911 per month with a roommate, followed by Oakland, where a housemate equals an extra $811. Renting a two-bedroom apartment with another person in Los Angeles and San Diego nets respective monthly savings of $762 and $659. Several recent surveys have found that Golden State and Bay Area residents are considering moving to less-expensive pastures, and now another one points to an outward migration, particularly millennials. A University of California, Berkeley poll found that 56 percent of the state’s residents have considered moving due to high housing costs. Sixty-nine percent of those in their 30s are thinking of leaving the state, while 65 percent of residents ages 18 to 29 are contemplating a move. While an August Apartment List study indicated that more than 80 percent of San Francisco renters were considering leaving, this one found that just over half of Bay Area residents felt that way, lower than other major regions of the state. Housing affordability is a key factor in keeping talented workers living in California, as Pacific Union Chief Economist Selma Hepp pointed out in a recent analysis of the state’s 2016 economic growth. Shrinking demand and profits are causing more lenders to ease their mortgage underwriting standards in the wake of a highly competitive business environment. A Fannie Mae report says that the number of lenders who report relaxing credit standards over the past three months has been steadily climbing since the end of 2016 and reached a three-and-a-half-year high in the third quarter. Lenders’ profits remained in the red for the fourth consecutive quarter, with increased competition from other lenders cited as the primary reason. Easing lending standards could be a blessing for Americans who are on the verge of being able to qualify for today’s still low mortgage rates. Thirty-year, fixed-rate mortgages averaged 3.83 percent for the week ended Sept. 28, according to the latest numbers from Freddie Mac, unchanged from the previous week.